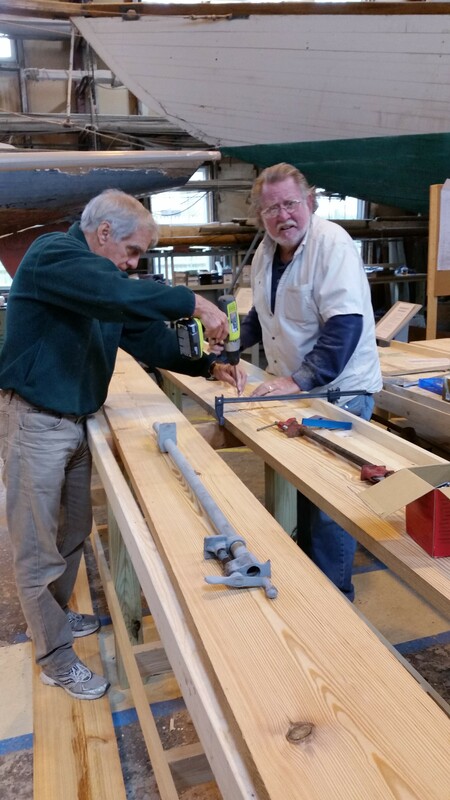 As part of our movement to further expand Building 28 as a boat repair and restoration shop, Bill and Keith have constructed a 12′ long work bench for the maintenance crew working on the H12.5. This, on top of a 5′ long bench Sandy had built them earlier on, should leave the crew content (it better!). 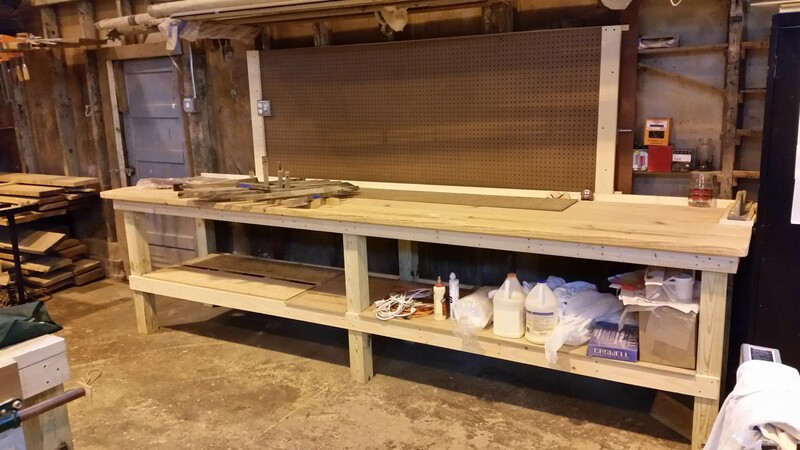 This entry was posted in Project Manager's Welcome and tagged bench, H12.5, Herreshoff, Herreshoff Marine Museum, RELIANCE, RELIANCE Project on November 10, 2014 by Herreshoff Marine Museum/America's Cup Hall of Fame.